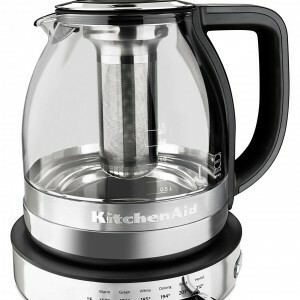 If you are a tea lover then the KitchenAid KEK1322SS is one electric teapot that you will find quite useful. 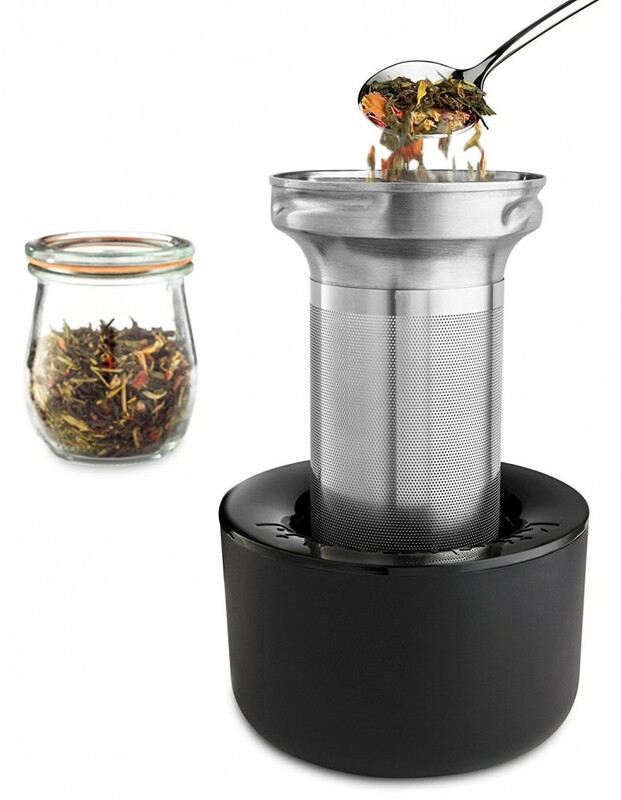 It comes with a stainless steel tea steeper that you can insert in the heating unit and brew your tea efficiently. 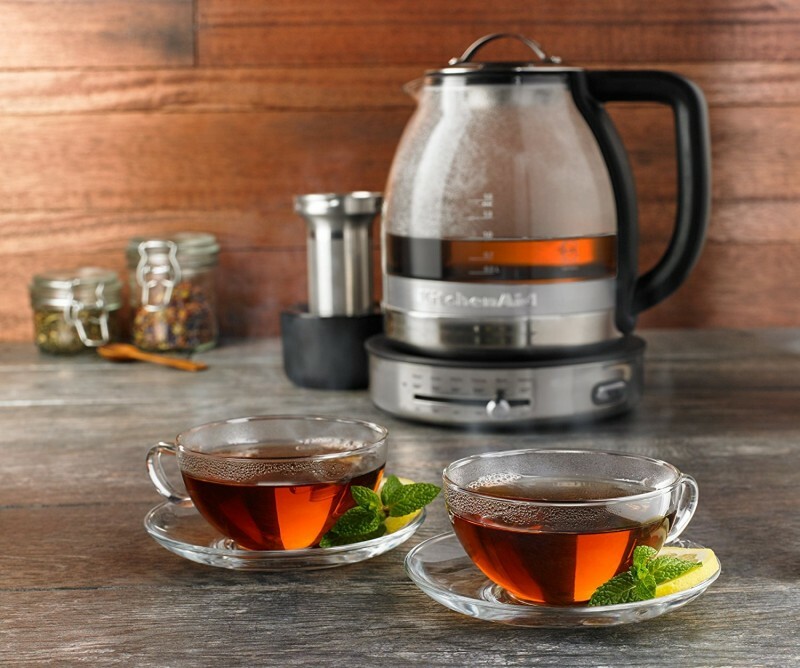 You will love it that it comes with five tea specialty temperature settings that you can use to brew different kinds of tea. 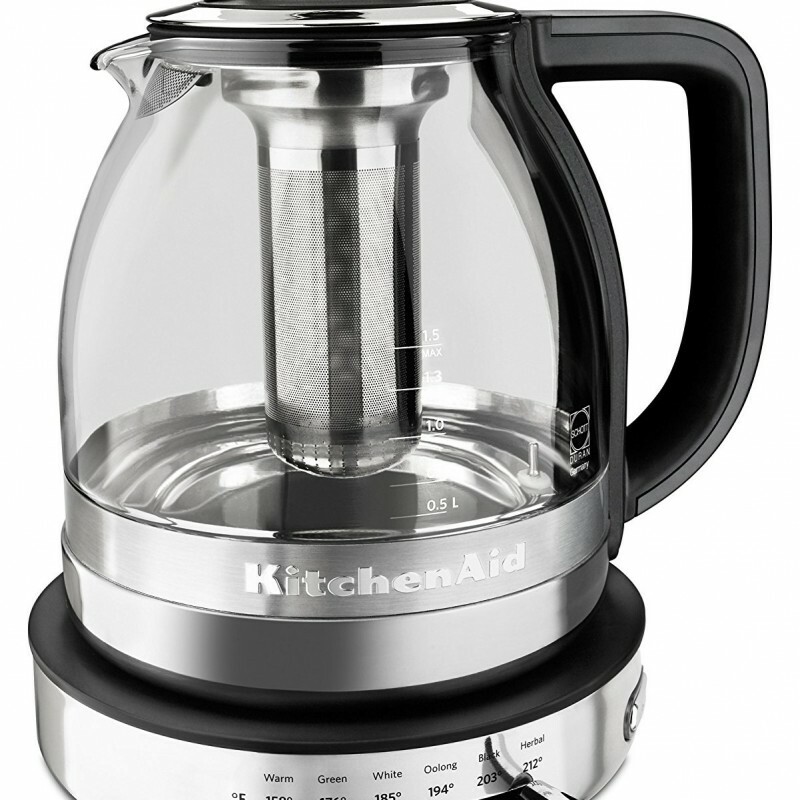 Another unique feature about it is that it can keep your tea or water warm for 30 minutes at a temperature of 150F. However, you will have to contend with an odd smell it releases during its initial use that fades after some time. It is quite durable thanks to its exterior being made of Scott Duran glass and stainless steel. 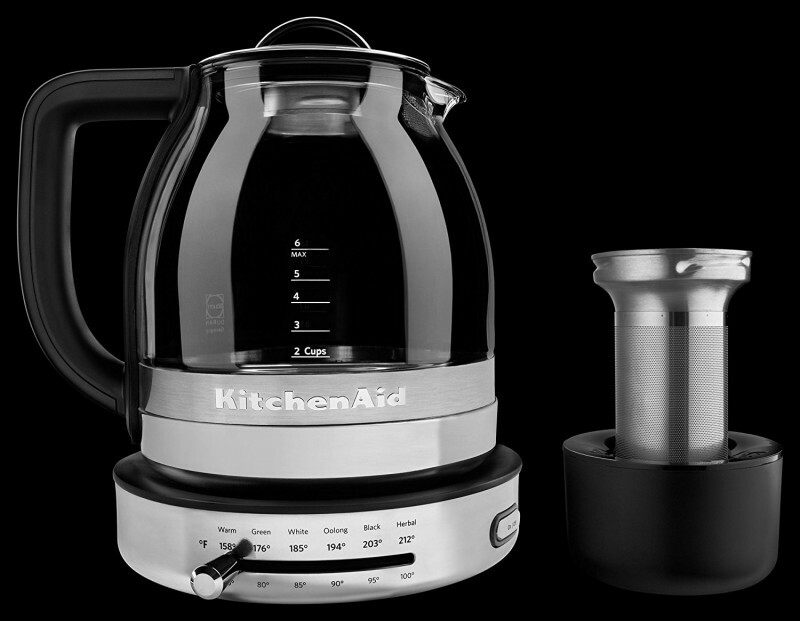 You can also use it to brew tea and thanks to its stainless steel tea steeper. Its stainless steel tea steeper is removable to allow for boiling water and easy cleaning. You will find it very easy to clean since it is made of glass and stainless steel. 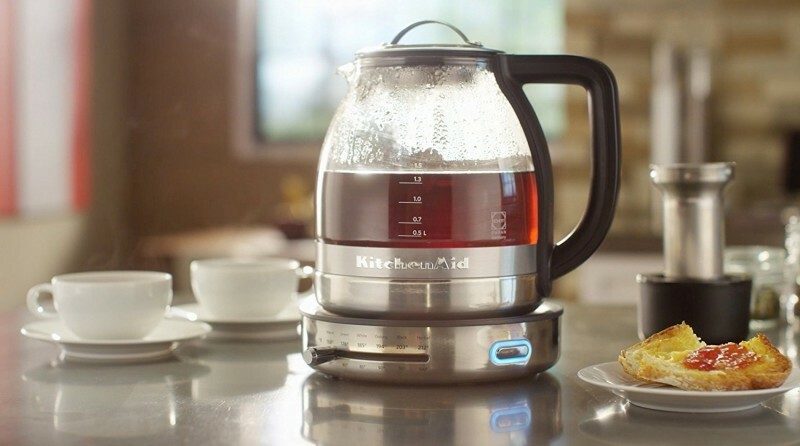 It allows you to brew different teas at different temperature levels thanks to its five tea specialty settings. You can measure the precise amount of water that you need using the markings on its sides. It has the capacity to keep your tea or water warm for 30 minutes at 150F. It has an odd smell during the initial days of use.